Just who is Herobrine? Why is it that every time he seems to be mentioned, the stories seem to get bigger and bigger? Is Herobrine Notch’s (apparently deceased) brother or is Herobrine a myth created to mess with the minds of Minecrafters around the world? Let’s find the truth and unravel this mystery! If you are familiar with Minecraft, you’ve probably heard the name “Herobrine” thrown around the community between players. Herobrine is easily one of the most recognizable things to come out of Minecraft. With not only references to the ‘character’ by Mojang themselves, Herobrine has definitely gained much attention. If you’ve ever heard the term “creepypasta” and have never understood exactly what it is, the quick definition is “an internet horror story”. Essentially, one person creates a story that is quick, can start rumors and can get copy and pasted over and over. While some of these stories are very fake, some seem very potential. While Herobrine’s story was clearly fake, the story and character took off with popularity. Herobrine was originally showcased in a picture posted online. 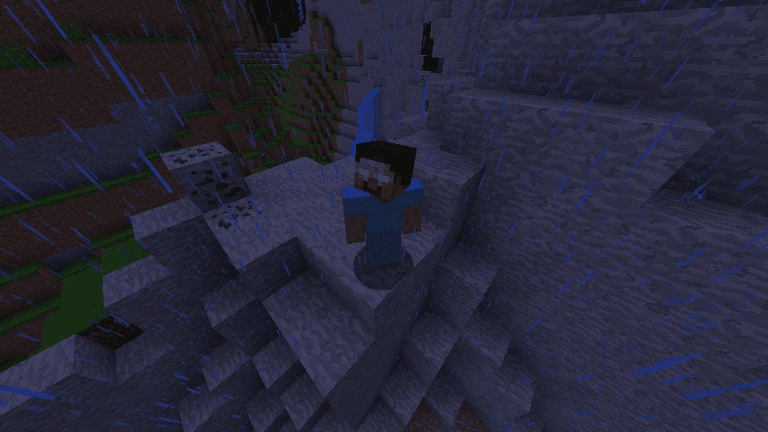 The picture included a story on how Herobrine had been lurking in the fog of a single-player game. When the player would attempt to increase the render distance of his available sight given to him, Herobrine would disappear. Herobrine then went on to create perfect pyramids in oceans, removing leaves from trees and much more. The player responsible for “seeing” Herobrine saved the map and went to a Minecraft related forum to find out if he was the only one seeing this random player. After searching the forums, he came to the conclusion that he was the only one experiencing this phenomenon. He created a topic talking about his experience and the post had been deleted merely minutes later. He re-uploaded the topic again and it was deleted quicker than it had been before. He received a message from a user named ‘Herobrine’ that contained the word “Stop.” He went to the user’s profile and found that the profile did not exist. Herobrine has been “removed” from Minecraft many times. These are all jokes by Mojang in reference to the stories of him being “in the game”. Notch has had various instances where he contemplated putting Herobrine in Minecraft as something in the game. During Minecon 2010, Notch stated that Herobrine would be included in the game to at a later date say that he had changed his mind and he has no plans of including him. Sadly, hearing that there is no Herobrine means many stories in which we have been told are either fabrications, somebody getting tricked, or of glitched circumstances. There are many negative things in knowing the truth to a situation like this, but there is also a lot of good. Regardless, expect Herobrine rumors for as long as Minecraft lives. Herobrine has become a staple in advertisements for Minecraft and of many fan creations. Herobrine may be fake, however, the mystery will live on.